If you have an innovative idea and plan to establish your own company, or you are already at an early stage of development, the New Frontiers Programme can provide you with funding, help and support to develop your new business. New Frontiers which is Ireland’s national entrepreneur development programme will open for Phase 1 applications in Spring 2018. The programme is delivered locally by GMIT Innovation Hubs (Galway & Mayo ) and funded by Enterprise Ireland. New Frontiers is a national programme delivered by GMIT in association with Enterprise Ireland, designed to benefit potential entrepreneurs. The first phase consists of a feasibility study, delivered on a part-time basis for a six to eight week period. It will focus on key fundamentals required for all business start-ups. The second phase is much more intensive. Those accepted on this phase will receive €15,000 grant funding and must commit on a full-time basis for a period of six months. Office space will be offered at no charge in the Innovation Hubs. The third phase is built around the business success and growth, exploring route to market, investment opportunities, exporting and generating employment. Participants must commit on a full-time basis for a period of 3 months. Experienced mentors from industry will provide advice at each development stage and support is on hand from concept phase right through to customer revenue. What does New Frontiers provide to Entrepreneurs? Office space (optional ) and other business incubation facilities. Up to €15,000 tax free scholarship to cover full-time participation in phase two. Access to the expertise in Enterprise Ireland through their market information centre. 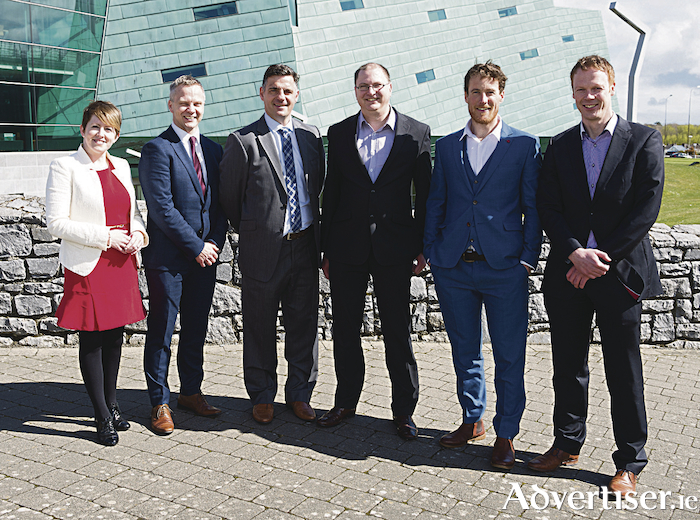 Expertise from GMIT iHubs and the supportive environment of the community of Entrepreneurs. Apply early as places are limited. First preference places will be offered to those who return their applications by Friday, March 16. The planned start date for Phase 1 is April 7. Email Trisha Carrick [email protected] for an application form.